Our fast-acting, long-lasting formula means you’re always just a few seconds away from experiencing the Quigley’s effect. 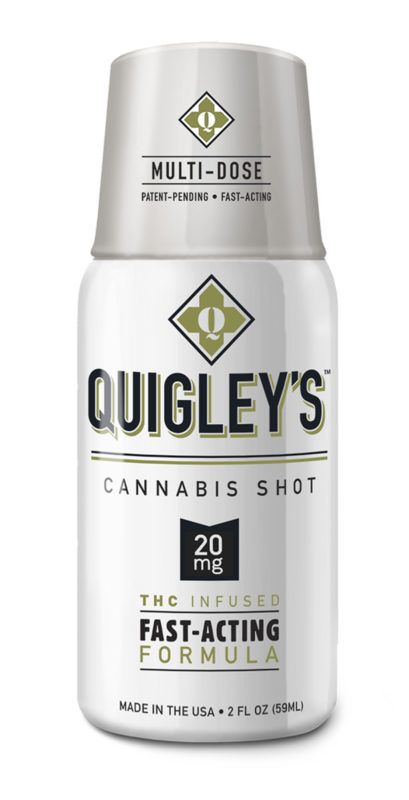 When the need for cannabis arrives, be sure you’re within arm’s reach of Quigley’s. So what makes Quigley’s so fast? It’s all in the science. Unlike most Cannabis delivery systems that must first reach the liver, our innovative, patent-pending formula delivers effects quickly by being absorbed directly into the soft tissue of the upper digestive tract instead. This makes Quigley’s fast-acting formula unlike any other cannabis delivery system available. Most importantly, our fast-acting blend allows you to be in control of your experience every step of the way. Since the effects kicks-in fast, you’re able to regulate how much you need to reach the desired effect. First we made it fast, then we made it last. We formulated it that way on purpose. So the joy and relief you feel, can be enjoyed for as long as possible. Trust Quigley’s to put you in the zone fast and keep you there longer than you ever thought possible. The long-lasting effect is achieved through our patent-pending formula that delivers Cannabis to the upper digestive tract instead of the liver. This difference allows the Quigley’s effect to stay with you longer, providing an extended experience before transitioning into a smooth and gradual descent that brings you down almost unnoticed. Quigley’s long-lasting formula is designed to provide hours of joy and relief, eliminating the need to ingest more. This also makes Quigley’s a perfect choice at bedtime. Quigley’s convenient size makes it easy to keep on hand whenever you may need it. So whether you’re out for a hike, relaxing with friends or just want to catch up on some good, old-fashioned sleep, Quigley’s is always there for you. In addition, we take pride in helping our friends deal with both pain and anxiety management. 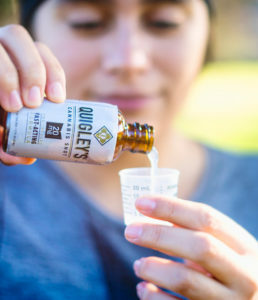 With our carefully measured doses, Quigley’s insures you’re getting the same joy and relief you expect, every time you need it. Unlike other edibles and beverages, our patent-pending formula guarantees you’ll experience the same positive Quigley effect, time after time. Our 10mg Shot brings joy and relief in a single dose experience. 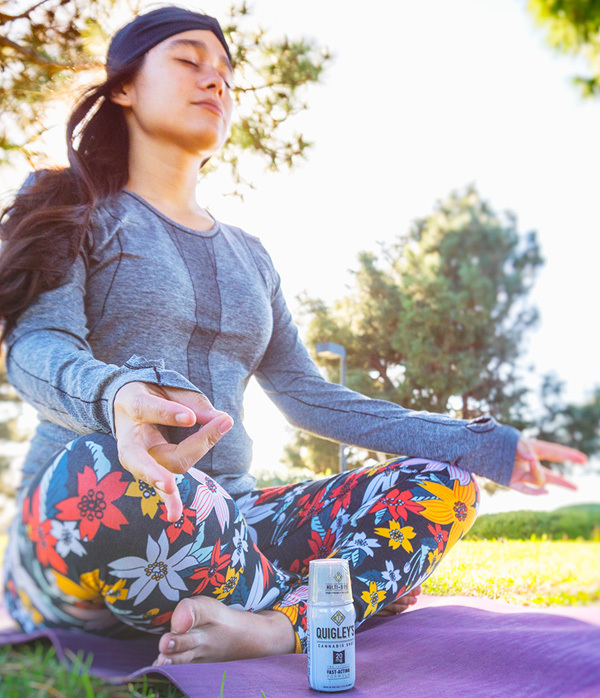 It’s small and discreet and helps you, “ease the day,” when you need it most. Our 50mg Multi-Dose shot comes with a calibrated dosing cup, allowing for multiple dose usage. This system provides even more access to the Quigley’s effect when you need it. And since Quigley’s fast-acting, long-lasting formula takes effect quickly it keeps you from feeling the need to ingest more. Although our most popular formula is available to the Recreational consumer, we also offer a specialized Medicinal blend as well. with so much unclear about what dosage of edible to eat… quigley’s shots takes the guess work out. this shot of thc comes within 10 minutes so you know if you have the effect you seek… instead of hour or more with traditional edibles. Quigley’s are my favorite just because they allow me to go about my day medicated but not too medicated they leave your mouth with a extremely good taste & they really do work fast! I make sure to pack these in my bag while I go snowboarding These shots help my colitis so much I get a appetite, nausea goes away & any soreness I have is totally relieved.